1. Have the right mindset – Embarking on a juice fast for losing weight is a fantastic step in creating the new, healthier and more vibrant you. No matter whether you fast for 1 or 60 days you should be proud of your achievement. Go into your juice fast with a feeling of determination and belief in your ability to achieve your goals. Believe in yourself and move forward! 2. DO NOT make this plan just about losing weight – Weight loss is a natural by-product of starting on a new and life enhancing lifestyle. 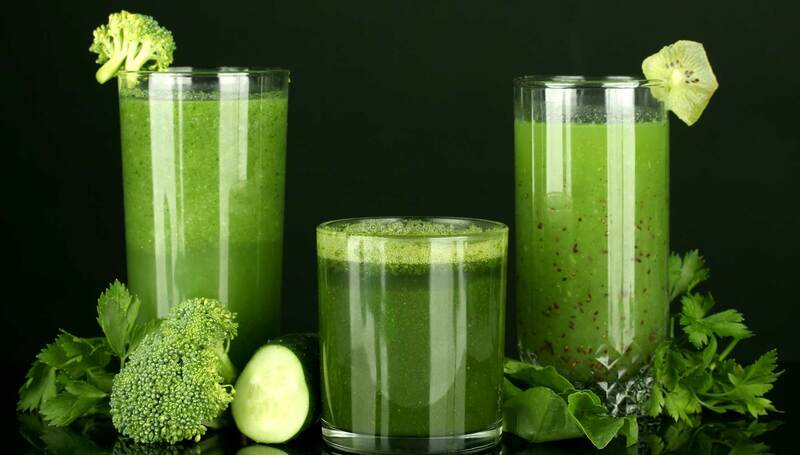 Juice fasting is a holistic approach which will enhance your life – mind, body and soul. 3. Cut down or eliminate all meats and processed 3 days before your juicing regime starts – This will give you a good start and condition your body for the drastic lack of fats and processed garbage during your juice fast. 4. Go organic – Although shopping at the organic section of your grocery store can leave your wallet somewhat lighter at the checkout, organic fruits and vegetables contain less additives and other chemicals which can be detrimental to your weight loss goals. 5. Use more veggies than fruits – Fruits contain natural sugars. Needless to say these aren’t on a par with processed sugars – in terms of adding to your weight gain – but it is definitely better not to overdo your fruit sugar intake if your goal is to drop a few pounds or more. Juice and down your fruits in the mornings. This will give your body more time throughout the day to burn off the natural fructose contained in the fruits. 6. Do at least some moderate exercise – You don’t have to be at the gym every morning at 6am bench pressing 100 kilograms or running a half marathon. We’re talking here swimming or a brisk walk. Exercising will also help in the detoxification of your body which will ultimately lead to a more effective system for burning off those extra calories. 7. Try to stay OFF the scales – Weighing yourself every half an hour isn’t going to help with your weight loss goals, especially if you’re not losing as much as you think you should be. This will only dishearten you and make it more likely that you will break your fast. Weigh yourself as seldom as possible. You can be sure that as each day on your juice diet passes, you are losing more weight. 8. Watch videos on YouTube – Yes, what better way to motivate yourself than to watch others that have gone before you and succeeded in their goals to lose weight or gain optimum health. If you haven’t already done so I recommend ‘Fat Sick and Nearly Dead’. This is a great motivator about Joe Cross, who juiced for 60 days, lost 100 pounds and cured himself of a chronic illness. 9. One day at a time – I’ve personally extended my fast by taking the plan one day at a time. For example you may have intended to juice for 3 days and feel so good after the third day that you decide to extend your fast for another day, two or maybe even a week. After the third day you should start to feel clearer in your thinking and lighter in and around your body, this can be a great motivator to spur you on to a longer fast. 10. Use the fast as a springboard to a healthier diet – As sure as the sun rises in the day and a shark sh**s in the sea:), if you go back to your old dietary habits, you will regain any weight you have lost during your fast. 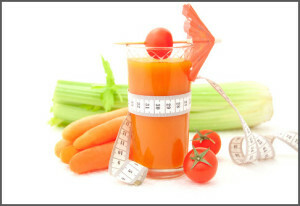 If your goal was just to drop the weight temporarily – for a wedding or holiday for example – then this may not be too disappointing, but for those whose goals were longer term or permanent weight loss, it can be crushing.The good news is that you can juice fast as often as you like on a week to week basis – ie. 1, 2, or 3 days per week – as long as you are providing your body with all the other foodstuffs it needs on the other days when you are not fasting. 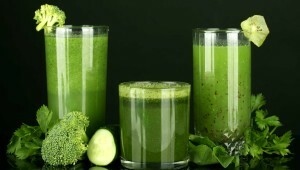 Juicing off course can be done daily as part of your diet. Replacing solid foods with a juice for breakfast, lunch or dinner is perfect acceptable and can only positively affect your goals to lose weight. I hope you found these tips helpful. Here’s the disclaimer now – I am not a health professional, nutritionist or otherwise. 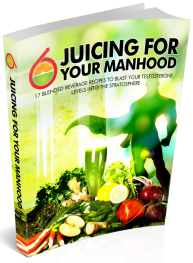 I’m just an ordinary guy who has had some success with juicing and wants to pass on what I have learned. In other words, if you die during your juice, it aint my fault:). Only joking, about the dying part.